King Northern Publishing (New Shelves), 9780985708870, 248pp. 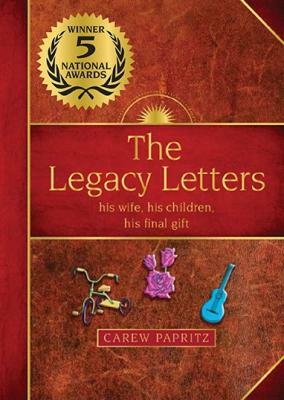 Winner of 5 national awards including the Mom's Choice Award, The Legacy Letters reveals to us the rediscovered private letters from a dying father to his childrenand his wife. His words of wisdom, interwoven between deeply personal stories and poignantly-told memories, ultimately become the practical, moral, and spiritual guidebook for his children he'd never live to see, and for his wife, his redemptive act of love. "Live Life to the Fullest" becomes the father's passionate plea to his familyand to all of us desiring to live the same way. Woman's World Magazine writes, "This inspirational classic is the perfect comfort book for people hungry to find meaning in their lives."